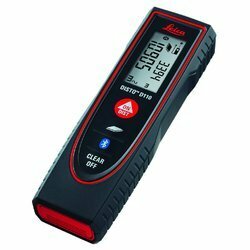 Leading Wholesale Trader of leica disto d110 laser distance meter and leica disto s910 laser distance meter from Delhi. Measuring Range 60m. / 197ft. 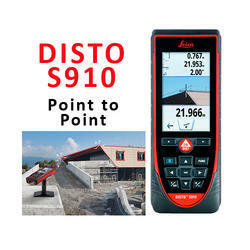 The ability to send distance and area measurements to mobile apps as you take them makes the D110 the ideal tool for generating estimates or inputting accurate interior measurements into modelling software on-site. Bluetooth DISTOs pair with iOS and Android devices. A wide range of apps, including the free DISTO Sketch App, work with Bluetooth DISTOs. Bluetooth creates a direct link from your DISTO to your modeling software while on site. Architects, Project Managers, Estimators, and Building Information Modelers are using this technology to eliminate human error and transform their jobs.